We frankly don't need asking twice to try another treatment at the Gaia Spa. We're now on our third visit. 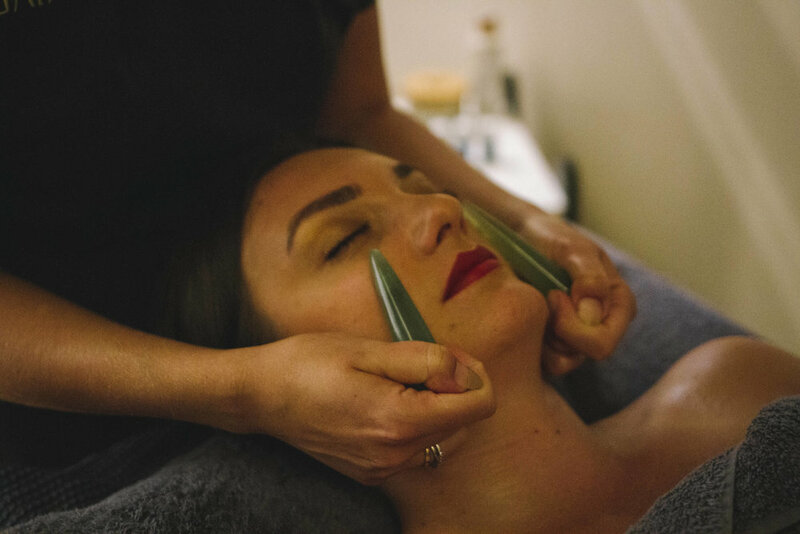 This was the first time we'd tried the Gaia Jade Facial, though, which is one of Boringdon's signature treatments. They've launched a fab range of all-natural signature skincare, to add to the initial bodycare line-up – and not surprisingly, it's these products which are used in the Jade Facial. But in between there are those jade wands, working their magic as they glide over the skin, almost pushing the oil deep inside. Honestly, it's a treatment that we really would travel half-way across the country to enjoy in its own right. Though the gourmet food and welcoming hospitality, the beauty of the spa itself – oh, and the fact they now have their own excellent Boringdon Hall gin – make it quite likely that we'll be back a fourth time.